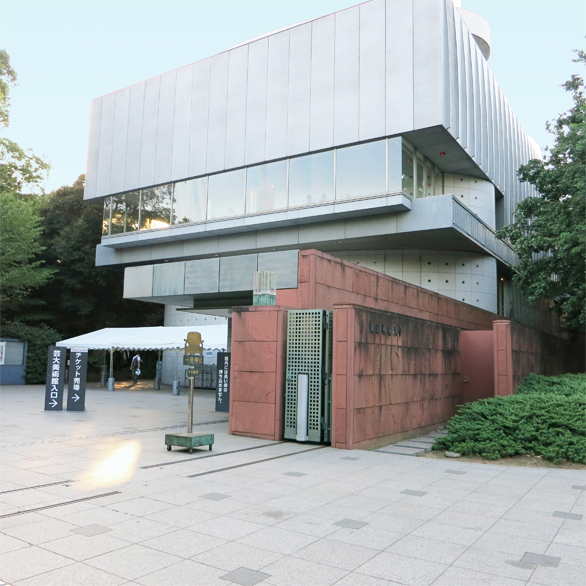 Tokyo University of the Arts is the legacy of two specialist schools, the Tokyo Music School and the Tokyo Fine Arts School. In 1949, these schools were combined to form the Tokyo National University of Fine Arts and Music, today renamed as Tokyo University of the Arts. 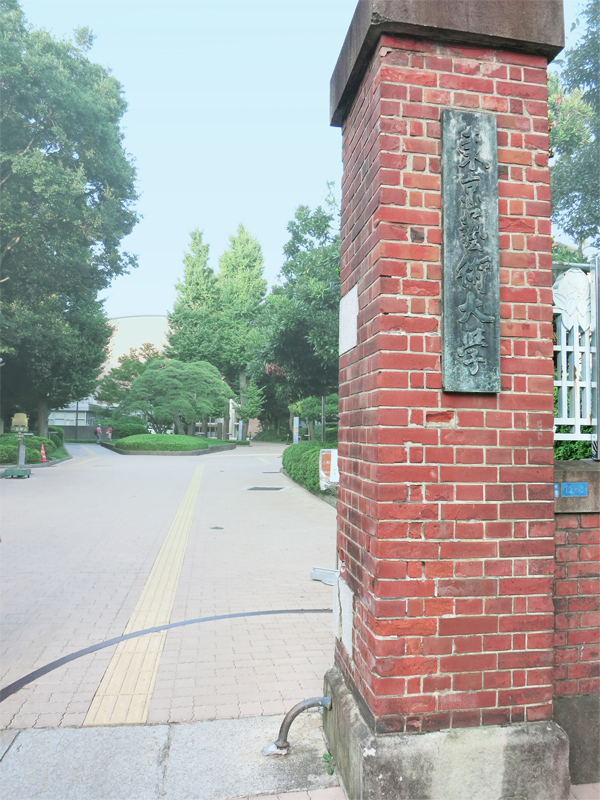 It is the only national university specializing in the arts in Japan, and in 2007 celebrated its 120th anniversary (the two original schools were both founded in 1887). Tokyo University of the Arts is the alma mater of many artists, composers, song writers, researchers and educators, active in Japan and overseas. For many years, the university had only two main departments, Fine Arts and Music, but these have been joined by the Graduate School of Film and New Media in 2005, as the university evolves to incorporate more courses in moving image and stage. The Faculty and Graduate School of Music incorporates specialist departments in composition, vocal music, instrumental music, conducting, traditional Japanese music, musicology, musical creativity and the environment, and musicology and music studies. Together, these departments have played a pivotal role in nurturing the development of musicology in Japan. The Sogakudo Project, for example, was established as part of the university’s efforts to contribute to the creation and communication of musicology in Japan. The Sogakudo Concert Hall, located at Tokyo University of the Arts, has been designed to “perform” as a giant musical instrument itself, thanks to its harmonious acoustics. The entire ceiling above the audience seating is fully moveable, allowing alterations to be made to create the optimal acoustic surroundings for each concert played at the Hall. The Sogakudo Concert Hall is home to the Sogakudo Project, which aims to use the concert space for performances that combine diverse genres and fields in innovative and creative collaborations that meet modern expectations for music, and that will help create and communicate brand new ideas in the musical arts. The university is also a hub of research into sound and acoustics, carrying out research on the construction of acoustic environments, comparative psychoacoustical analysis, and the music and acoustics of urban commercial facilities. Such research is part of the university’s goal to develop, create and share new methods for examining and understanding sound and acoustics within society. The Faculty and Graduate School of Music are at the center of music research in Asia, and exchange agreements are in place with 13 schools and institutes throughout the globe. Concerts are regularly held in collaboration with these international partners, including those held overseas, such as a performance by the student orchestra in the UK in 2003, a performance by the chamber orchestra in Europe in 2006, and a Paris performance in 2007 by the Senior High School of Music orchestra. The Faculty and Graduate School of Fine Arts incorporates courses on craft, design, architecture, aesthetics and art history, conservation and other aspects of art; as a comprehensive faculty of the arts it has produced many outstanding graduates who have gone on to excel in their various fields of specialization. Dedicated both to the communication of Japan’s rich artistic history and traditions and to the introduction of innovation in art, the Faculty and Graduate School of Fine Art seek to contribute to the development of art in Japan as well as to the vitalization of artistic culture. In recent years, the methods of artistic expression available to artists have been diversifying rapidly; in consideration of this, the university runs creative projects in collaboration with local industries and holds workshops for the local communities as part of its efforts to nurture new creative culture within Japan. It is also active in working with other fields, such as the natural sciences, engineering and medicine, in transdisciplinary research projects. The Faculty and Graduate Studies of Fine Arts aims to function as a leading international research hub with strong links with diverse artistic cultures from around the world. It has exchange agreements in place with 48 universities and institutes in 17 countries and regions, and there are multiple programs in place to encourage overseas students to enroll in the university, exchange programs, and exchange exhibitions by faculty and staff. In 2005, the Graduate School of Film and New Media was established, encompassing the four departments of film production, new media, animation, and film & new media students. Today, the unique film and moving image work being produced in Japan is renowned internationally, and the Graduate School will work to consolidate this world-leading position by fostering a new generation of graduates able to express themselves artistically through the medium of film and moving image, and confident in related high-level technical skills such as film production, animation, and computer science. 1930–2009. A contemporary Japanese Nihonga painter, who served as President of Tokyo University of the Arts twice, as its 6th and 8th President. Buddhism was a recurring theme through many of his paintings, and he is particularly remembered for Bukkyo Denrai (The Transmission of Buddhism to Japan, 1959), Nyunehan Genso (Fantasy of Nirvana, 1961) and Daitosaiiki Hekiga (Daito Saiiki Murals, 2000). His many awards included the Japan Arts Award, the Montblanc de la Culture Arts Patronage Award, and Japan’s Order of Cultural Merit. 1864–1913. An artist and educator active during the Meiji era (1868–1912). 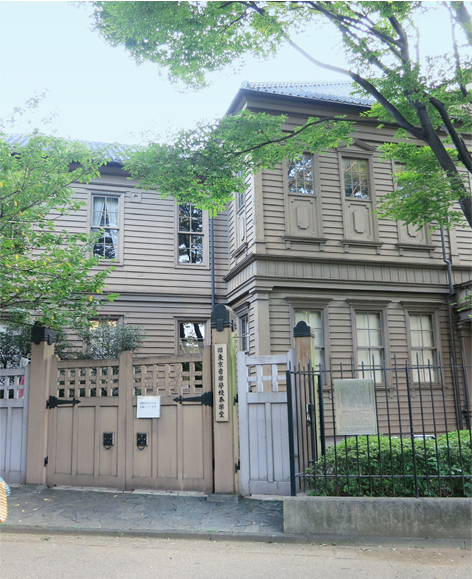 Okakura was central to the establishment of the Tokyo Fine Arts School. He assisted Ernest Fenollosa, a professor at Tokyo Imperial University during the late 19th century who is remembered for his role in introducing Japanese art to the USA, in collecting artwork for posterity. 1866–1924. A Yoga (Western) style painter in the Meiji period. After moving to France in 1884, he studied under Raphael Collin. He became director of the Department of Western Painting at the Tokyo Fine Art School in 1896. He is particularly remembered for Kohan (Lakeside, 1897) and Chi, Kan, Jo (Wisdom, Impression, Sentiment, 1899). 1908-1997. Architect noted for merging traditional Japanese architectural design with modernism. Appointed a Professor at Tokyo National University of Fine Arts and Music in 1962. Prominent architectural works include the Nara National Museum, the Aoyama Tower Building and Hall, the Hall of Chamber Music Yatsugatake. 1908–1999. Japanese artist representative of the art of the Showa period (1926-1989). He graduated in Japanese Painting from the Tokyo Fine Arts School. His most prominent works include Zansho (Afterglow, 1947) and Michi (Road, 1950). He painted several murals at the Togu Palace of the Crown Prince and Tokyo Imperial Palace in the 1960s, and in the 1970s he spent a decade creating murals for the Miei-do Hall in Toshodaiji, Nara, including Huangshan Mountains in Morning Mist. 1868–1958. Major figure in the contemporary Japanese art world. He helped to establish the unique technique of bossenbyo (the Morotai method). His prominent works include Shosho Hakkei (Eight Views of the Xiao-Xiang, 1912), Shojoruten (Metempsychosis, 1923). He was in the first graduating class of the Tokyo Fine Arts School. 1879–1903. One of the most prominent musicians and composers of the Meiji period (1869-1912). He joined the Tokyo Music School aged 15 years, where his talent for composition and piano playing continued to develop. He attended the Leipzig Conservatory, Germany to study music further. He is remembered for work such as Kojo no Tsuki (“Moon Over Ruined Castle”, 1901) and Hana (“Flower”, 1900). 1924–2001. Composer of classical music, working in diverse fields, from opera, to Lied, nursery rhymes, and music for films. He joined the Tokyo Music School in 1942. His works include Yuzuru (“Twilight Crane”, 1952) and Hana no Machi (“Flower Town”, 1947). 1886–1965. Composer and conductor. Graduated from the Department of Vocal Music at the Tokyo Music School. He was responsible for bringing much Western music to Japan, and established the Tokyo Philharmonic Orchestra, Japan’s first orchestra. In addition to opera and symphony music, he also wrote Lied and nursery rhymes. His well-known works include Akatombo (“Red Dragonfly”, 1927) and Karatachi no Hana (“Trifoliate Orange Flowers”, 1925). 1851–19617. Educator and pedagogue. First Principal of the Tokyo Music School, one of the forerunners to the Tokyo University of the Arts. After graduating from Daigaku Nanko (today The University of Tokyo), he worked as a bureaucrat at the Ministry of Education and as a principal at a teacher training school, before moving to the USA to study. On his return, he dedicated himself to disseminating the knowledge of Western music he had acquired during his time abroad. He edited the Shogaku Shogashu (1881), a collection of educational material for elementary school children. He was responsible for building the foundations of modern Japanese music education.